Since it was launched in June, hundreds of small-business owners have signed up for health coverage through The Home Depot Inc.’s Business ToolBox program. The program, which is open to any small-business owner, requires participants to pay for the insurance, but it allows them to take advantage of the Atlanta-based retailer’s group rates. Well, not exactly . . . The health insurance is individual coverage, that is individually underwritten, and priced the same as plans you can get through your local agent. Since the adviser would be going from one corporate plan to another, pre-existing conditions can’t be excluded under [the Health Insurance Portability and Accountability Act],” he said. The information on the site is about individual health insurance, not group coverage. Covering pre-existing conditions — along with sidestepping the extremely high cost of individual health insurance — are keys to obtaining desirable coverage, observers noted. High cost of individual insurance? Somebody is smoking funny cigarettes. The Massachusetts Commonwealth Health Insurance Connector on Thursday likely will approve a proposal to exempt almost 20% of uninsured residents from a state law enacted last year that requires all residents to obtain health insurance, the Boston Globe reports. Under the law, state residents who do not obtain health insurance could face fines or tax penalties. However, the law requires that the state exempt residents who cannot afford health insurance, with the definition of affordability left to the Connector. The definition of affordability left to the Connector. Waiting on the other shoe to drop. If they make enough changes to the law, eventually they will be back where they started. Here's a true story with no real moral, or hero, or resolution. Now that I've piqued your interest, you may be wondering "But Prof, what would be the point of such a tale?" Mostly, it's a word of caution, and an opportunity to vent about the complacency of certain gummint agencies. "I live in NC and was recently offered an opportunity to sell Zero Premium Life Insurance. I was told that a group of investors buy and pay for all monthly premiums for a 50K Life Insurance policy. Upon the death of the policy holder, his/her policy will pay 15K to their beneficiary and 35K to the investor. The policy holder must be 65 - 85 years old. The seller of the insurance policy would receive $250 for each policy. This sounds to easy. Is this an Insurance RIP-OFF?" I immediately caught an unpleasant whiff (as in "if it's too good to be true..."). My immediate reaction was that this must be some kind of internet hoax, a la "The Onion." So I Googled "zero premium life insurance," and found page after page touting this miraculous panacea. IB readers may recall that the product formerly known as "Stranger Owned Life Insurance" is no more; surely this can't be. But apparently there is some carrier, somewhere, that's signing up agents to push this stinker. The North Carolina Department of Insurance has thus far refused to sign off on it, and I thought that perhaps my own state's DOI would be on top of the situation. And so, I called up the Ohio Department of Insurance, and was routed to the life department. I introduced myself, and told the gentleman at the other end of the line what I had learned, expressed my own suspicions, and asked what the DOI thought of this new gizmo. "Matt" had absolutely no idea what I was talking about. This took me aback, and I waited for him to ask me to send him the particulars. Good thing I wasn't holding my breath. Eventually, I told him that this seemed like something in which the DOI should be interested. He suggested, huffily, that if I wished, I could email what information I had, and they would perhaps look into it. Okay, so to what email address should I send this? Oh, just go over to the DOI website, click on Consumer Services, and fill in the form. To which I replied, "wow, you guys sure sound interested in keeping consumers from being defrauded." There was a pause, and Matt replied "what?" So I repeated my statement, to which he replied (and I quote) "is that supposed to be sarcasm?" I responded "yes," and terminated the call. As regards this post's title, I will leave it to IB readers to discern which entity is which. This week's edition is available at We're In Debt, and boasts an easy-to-follow lay-out, with clickable categories and helpful context. There are almost 60 entries, so you're bound to find something good. Since most of us have cars, most if us have to buy gas. Credit Card Lowdown blog has some tips for saving on gas money. 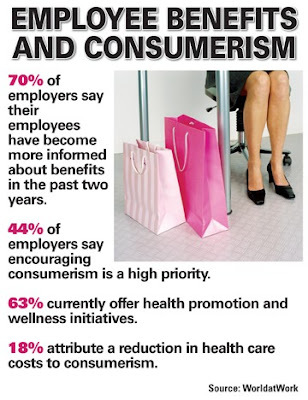 In a recent study, World At Work (think tank for employee benefits research), found that consumer-centric health care (aka Consumerism, CDHC, the list goes on) is indeed becoming more prevalent in health plans. According to WaW, some two thirds of the employers surveyed claim that, over the past couple of years, workers are taking the time to become more familiar with what's covered. A bit less than half are beginning to encourage their employees to become more informed in their health care and decisions which could affect it. In this week's 'Dispatch, we learn that WalMart is raising the stakes in its bid to put even more health care in stock. "By partnering with local providers (including hospitals and physicians, for example), WM expects to engage a broader spectrum of folks in the ongoing health care debate. Although I’ve not seen anything explicitly stating this, it stands to reason that MCO’s (Managed Care Organizations, aka provider networks) will be keeping a close eye on this." And please join us on May 3rd (hmmm....May 3rd, our 3rd time hosting, I've got Happy Feet!) for a wonkin' good time! Mitt Romney, who a year ago was heralding Massachusetts' health insurance law, sometimes fails to mention the far-reaching program when addressing conservative audiences today. Is the hair dye affecting the brain? There is a likening of this central concept of his - the Connector - to managed competition, which was at the heart of the 1993 Clinton health care proposal," Tanner said. "In essence, you have Romney embracing 'Hillarycare,' and that doesn't play well on the right." Wonder what Hillary thinks about it? The insurance mandate, the former governor says, is a means of ensuring "personal responsibility," such as a state requirement for drivers to carry auto insurance. Ensuring personal responsibility. OK, so maybe it's not the dye job. A man was held Wednesday on charges that he performed dental work on customers without a license in his "filthy" garage, authorities said. Roger Bean, 60, was arrested Tuesday and held on $6,000 bond. Bean performed denture fittings and made false teeth in his garage, charging just $200 for a full set of dentures, a procedure that typically costs more than $2,000, authorities said. But he was not licensed to practice in Florida. Wonder if he did oil changes & rotated tires for free? "He's helping the old people who don't have a few dollars," he said. "I think the world of him." I'm sure you do . . .
We've blogged a lot here about transparency and consumer empowerment. And those are key components in the drive toward more consumer-centric health care. Mostly, of course, we talk about availability and cost of services, versus medical necessity and consumer driven health plans. We also tend to post about our own experiences: with clients and carriers, both good and bad (mostly the latter, since they tend to be more interesting). We're always careful to anonymize the "innocent," because names aren't nearly as important as circumstances. And we're not alone: the "medblogosphere" is lousy with health care providers (doctors, nurses, surgeons, you name it). And they, of course, have their own resources and places to post about difficult cases or patients. But what if they post what my daughters call "TMI" (Too Much Information)? "Hundreds of doctors across the country are writing Internet diaries that sometimes include harsh judgments of patients, coarse observations and distinct details of some cases." That's quite a thin line: too little information, and you're not going to get much helpful feedback. Too much, and you've breeched confidentiality. So where is that line? Who draws it? Who decides whether or not it should be drawn at all? We've got it pretty easy here at IB: since we post about cases simply as examples of either good or bad behavior, we're not really looking for advice on how to handle a given scenario. Mostly, they're just ways to illustrate a particular insurance principle or plan. "One of the fundamental aspects of medicine is that patients have to feel free to tell doctors everything," said Dr. David Stern [ed: no relation], who teaches professionalism at the University of Michigan Medical School. 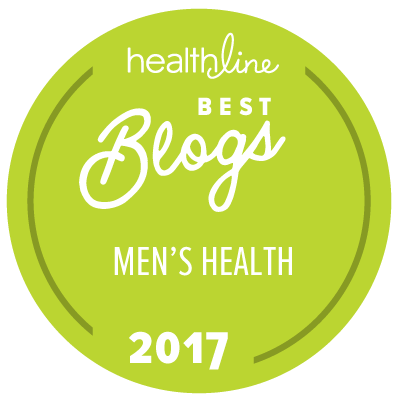 "They're not going to tell us everything if they're asking themselves when they come in to see their physician, 'Is my doctor going to blog about me?" When we get mail asking about a particular concept or problem, I usually ask for permission to post the email and my response, and I scrub out identifying details (they're really not necessary to make my points). Most of the time, the answer's yes. Sometimes, there is no answer, which I take as a tacit "yes." So far, no one's told me "no," but I'd certainly respect that it if came up. Cavalcade of Risk #24 - Now Up! SVB at The Digerati Life presents a superb CoR, with over 2 dozen posts. Our host has categorized every one, and includes useful commentary and context. It's aesthetically pleasing, as well, which makes it even more readable. Bravo! We've got hosting slots available for June, so why not give it a whirl? Just drop us a line. Granted, it would be a stretch (to say the least) to call this insurance-related, but it's definitely healthcare-related. "Scientists have discovered a new mineral that matches the composition of kryptonite, the mythical rock that could sap Superman's strength in comic books." Theoretically, if Clark Kent's alter ego were to be laid up as a result of kryptonite exposure, one would presume that The Daily Planet's short term disability coverage would come into play. Hope he has a critical illness plan, too. Broken System or Thoughtless Folks? "When Jack and Dorothy Johnson of Twinsburg adopted their granddaughter Shaunell, the 11-year-old gained a permanent, loving home. And now private health insurers refuse to offer her individual coverage because she has asthma, even though her grandmother says medicines keep the condition under control." Reading the story, it's tempting to blame the health insurance system for the family's travails, but even a cursory examination tells us that this is most decidedly not the case. Well, the Johnson's, a couple on Medicare, adopted little Shaunell when she was 11 years old. Shaunell has asthma, and because of the adoption is no longer eligible for the state's SCHIP program (a state-run health insurance alternative for lower income kids). Her folks, despite the fact that daddy has a "part time financial services" job, are on Medicare, but for some reason make too much money for Shaunell to be added to their plan. Yeah, made no sense to me, either. But that's not the only disconnect in this "story:"
The Johnson's apparently tried to obtain health coverage for Shaunell from a local insurer, SummaCare. SC isn't exactly the biggest name around (they rate only a B++ by A M Best), and they declined her. The story doesn't say what other carriers the Johnson's tried, but Shaunell's asthma must be pretty severe, because the underwriting guides for a number of major carriers indicate that this is not usually a declinable condition. How come the authorities allowed a couple on Medicare to adopt a child, without first ascertaining that that child would have access to adequate medical care, and appropriate insurance coverage? Given her obviously acute medical condition, wouldn't that have been prudent? And how come the Johnson's themselves didn't make sure that this was, indeed, the case, given that Mr J is apparently a financial whiz? UPDATE: It actually gets more interesting. I was pretty sure, but just confirmed with several carriers, that if the Johnson's had had an individual medical plan in place, it's likely that they could have avoided this whole mess. Most individual plans allow one to add a newborn (or newly-adopted) child onto the plan, with no underwriting or pre-ex limitations, within 31 days of the event. Liana at Med Valley High presents a veritable solar system of medblog posts - over 3 dozen of them! And she includes extraordinary context with each one, which makes it even more interesting. Bravo, Liana! With such an embarrassment of riches, it was tough to pick out a favorite. But I think Mother Jones, RN wins out; her take on the delicate balancing act of mental health and civil liberties is brief, but powerful. The comments offer additional insights. People who refuse to obtain health insurance could be tracked down by the state or a private contractor, enrolled in a plan and fined until they pay their premiums under one proposal Gov. Arnold Schwarzenegger's administration is considering as part of his vision for covering all Californians. Sounds like a job for Harry Callahan. The proposal to locate people without insurance would use state or private databases and target those who lacked coverage for 60 days or more. “High-deductible plans punish women for having breasts and uteruses and having babies,” said Dr. Steffie Woolhandler, the study’s lead author. Interesting way to state the obvious. Women’s costs are higher because women need mammograms, cervical cancer vaccine, Pap tests, birth control and pregnancy-related services that men do not, said Woolhandler, who also is a co-founder of a physicians’ group that advocates for a single-payer national health insurance system. Maybe. But men do stupid things that land them in the ER more often. Sounds to me like men are being punished for having too much testosterone. A former assistant superintendent of the William Floyd school district was sentenced to probation and community service Tuesday after admitting he stole $56,000 from the district's health insurance plan. That's a bunch of money. DiNapoli has admitted claiming he was still married so that his ex-wife would be covered by his school district health insurance. The district paid benefits for his ex-wife from 1991 to 2004, although the two divorced in 1991 and DiNapoli remarried, this time to another William Floyd employee. OK. So it took 13 years for someone to catch on? 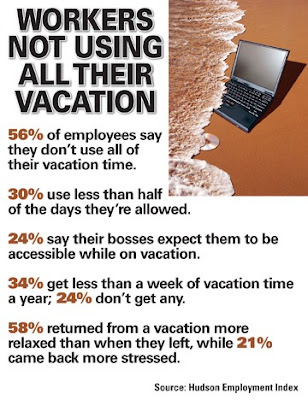 According to the the Hudson Employment Index, a lot of folks are scrimping on vacation time. The index, which surveys some 9,000 US workers every month, purports to measure "the U.S. workforce's overall confidence in the employment market." In addition to vacation data, the company tracks hiring intentions, financial security and overall job satisfaction among those it surveys. According to the latest HEI results, over a third of us don't plan to use up all our "holiday" time this year; heck almost a quarter of us haven't taken any time off yet this year. Given that we're already almost a third of the way through "ought seven," this should give us some pause. In the "I can relate to that" department, just about 4 in 10 of us feel the need to "check in" with the office even when we "check in" to our hotel. Some of that's just modern tech, of course: cell phones, BlackBerry's, laptops and other assorted gadgetry make it painfully simple to forget to cut that particular cord. But one has to wonder whether that's really good for our health; after all, we do need downtime, if for no other reason than stress reduction (of course, this is where my better half would chime in "pot, meet kettle"). Is buying insurance online such a great idea? In this week's 'Dispatch, we take a look. "Those cave-man ads are cute, but insurance is just too complex (and serious) a product to trust to someone whom one will never meet, on the other end of an 800 line to who knows where." More than the entire state budget???? And NO ONE in the legislature had a clue about the cost? It is decidedly so. What about all those actuaries working in Connecticut - at CIGNA, United, Aetna, Anthem, Oxford Health Plans, Connecticare? Did anyone ask them? Don't count on it. Did they ask them and then ignore their advice? Reply hazy, ask again later. Recall that the Massachusetts legislature simply declared victory over cost and adopted a comprehensive plan but with a deductible of $2,000 and $4,000 for a family. The State’s $175 monthly premium target is met only for single persons under age 35. (Those persons will actually be self-insuring the first $4,000 of their medical expenses each year considering the premiums of $2,100 plus the deductible is $2,000). Everyone else will pay higher premiums, some much higher. Will most of the Massachusetts uninsured enroll in this plan? My reply is no. California is also trying to find a comprehensive plan that won't cost much. Will they find it? Outlook not so good. Tennessee is taking a different path. It abandoned the catastrophically expensive TennCare, in favor of a limited liability plan that will actually be quite affordable (premiums = about $155 per month per person, shared equally among individuals, employers, and the State). But the low premium is achieved by limiting the maximum annual benefits payable to $25,000 and limiting pharmacy benefits to $250 per month. This compares with comprehensive plans that typically have no annual maximum, and lifetime maximums of $1-5 million. The limited-liability plan has the advantage of small copays for office visits and medications. But keep in mind hospitals cost around $2,000 per day for routine care and intensive care is much, much more. Will the Tennessee approach work? Cannot predict now. Without a cost affixed – they liked it? And that was only one month ago??? Say, how did those 12 Humpty-Dumpties ever get on the insurance committee? Better not tell you now. Do ya think these situation comedies now being played out in state houses foreshadow a main-event political circus when the U.S. Congress takes up the debate on health care? Signs point to yes. I find it truly sad that certain folks, in their rush to politicize even the most unspeakable of tragedies (Monday's brutal slaughter at VT), will find a way to twist even innocent (and potentially useful) government programs to their own ends. As regular IB readers know, I am most decidedly not a big fan of most gummint-run health programs. One which had previously flown beneath my radar was the National All-Schedules Prescription Electronic Reporting Act of 2005. This rather innocuous program provides funding for states to adopt registries reporting schedules II-V controlled substances (spam-email things like ritalin, valium, xanax, adderall, vicodin, and oxycontin) but the most commonly prescribed antidepressants like prozac, lexapro, zoloft, effexor, etc are schedule six and thus not considered controlled substances. "We learned yesterday that the Bush administration has created a database of every single prescription drug user/patient in the country (that would pretty much be all of us). The database was created pursuant to a 2005 law that was intended to prevent the abuse of prescription drugs. Funny that this massive new database of your private medical information is now being (ab)used for a purpose that wasn't intended in or approved by the law." The rest of the post goes on in that vein, with the conclusion that the evil administration has a database of every prescription any American has filled. I'm also expecting my check from Bill Gates (you HAVE been forwarding those emails, right? ), and my windfall from that nice Nigerian fellow. I truly wish that folks would just apply common sense to these things. UPDATE: Just spoke with a pharmacist (client) about this, and he confirmed that Class I drugs are NOT reported (except as insurance claims, but that's a different story). Class II drugs are reported to the state (which, last time I looked, is NOT the federales). So much for the latest cause du jour. "UnitedHealth Group Inc. has cut patient fees as much as 90 percent for an asthma inhaler made by Sepracor Inc. that doesn’t use a banned air pollutant." Turns out that Sepracor’s Xopenex inhaler is CFC-free, and is apparently just as effective as its CFC-prone competitors. By giving its insureds a specific, easily understood (and substantial) discount, UHC is encouraging a more enviro-friendly medical care model. Kudos! One of my favorite econ-bloggers, Jason Shafrin, hosts this week's compendium of health care policy and polity. He's assembled over 20 timely posts, covering such topics as Massachusetts’ health insurance intiative to the history of capitation. That last really was fascinating. Did you know that King Henry I paid his personal physician a penny a day? Previous Cavalcade of Risk host Richard Eskow has more, and it's quite interesting. As regular IB readers know, we are major advocates of consumer-centric health care (which is not without its own flaws, of course). One of the reasons for this is accountability by, and transparency of cost for, health care providers. It's also because we're convinced that health insurance carriers could do a (significantly) better job at educating and serving their customers. "Insurers must find a way to meet the wants and needs of the next generation of consumers." So exhorts Annemarie Earley, managing vice president for research giant Gartner, Inc. Her advice is in response to a recent study, done by Gartner [sorry, paid link], completed this past February. Moreover, according to Ms Earley, carriers in both North America and Western Europe must move more rapidly in that direction, despite (maybe because of) the fact that consumers today are more internet-savvy, and motivated to learn more about their health care, and how much it really costs. She also warns that "consumer centric" health care and insurance will require substantial infrastructure changes, and may entail a certain amount of disruption as the system, and the market, adjust to the new paradigm. As if to underscore this last point, the National Business Group on Health has called for Congressional action to simplify alternative funding mechanisms that are at the heart of CDHC. They'd like to see the whole alphabet-soup (HSA, HRA, FSA, etc) pooled together into a single “401-H” system that would give employees incentives to save for post-retirement health care needs. As I noted in this week's Insurance Dispatch, employees generally are satisfied with their health insurance coverage, and have no desire to cut back on it in order to save more for retirement. This bodes ill for future retirees, who may have a smaller nest-egg than they imagine. It's not clear how, exactly, this might work. But it's good to see folks shaking up the system a bit, and searching for answers that don't necessarily require massive new government programs. Is up, hosted this week by the Fat Doctor. It's not just informative, but entertaining, as well. There are helpful categories, and (from her comments) the good doctor has actually read each submission. An outstanding job. This is just weird (which is probably why it caught my eye): DNA art. Dr Joshua Schwimmer has the (gory?) details. Ya just gotta love the entrepreneurial spirit. I'm shocked! . . . shocked! "TRENTON, April 11 — State senators from both political parties said at a hearing on Wednesday that they had been shocked to learn that they had voted again and again in recent years for measures that had left the state pension in great distress, and they faulted the state treasury for failing to explain to them the risks of what they were doing." The just-awakened senators are trying a variation of the dog-ate-my-homework excuse. But, bless their hearts, there is no excuse for this. With almost 4 dozen posts, this week's Carnival of Personal Finance is packed with helpful info. Host JLP, at All Financial Matters, has organized the Carnival into 7 categories. The only criticism I have is that, aside from said categories, there's no context for the listings. Still, I was intrigued by a post called "You can’t buy a miscellaneous." The folks at Blunt Money point out that, when budgeting, it's better to be specific. Good stuff. In this week's 'Dispatch, we learn that many workers continue to perceive their health insurance as more valuable than it may really be. "It means that folks have a warped perception of how insurance really works, and are willing to give insurers more money (in the form of increased premiums) for coverage that they may never need or use." UPDATE: There's an interesting little debate about my column going on at Health Care BS. "Housekeeping staff at Good Hope Hospital in Sutton Coldfield, have been asked to re-use sheets and pillowcases wherever possible to cut a £500,000 (about $1 million US) laundry bill." Seems the cost of cleaning has risen sharply, while the amounts available for reimbursement haven't. ■ Are Bad Habits Good for you? According to research just published in the Archives of Neurology medical journal, folks who smoke cigarettes and drink copius amounts of (presumably non-decaf) coffee reduce their risk of contracting Parkinson's disease. "Both smoking and "increasing intensity of coffee drinking" seemed protective against the disease, but no protective link was seen between daily or frequent use of the pain medications classified as nonsteroidal anti-inflammatory drugs." So, we won't be adding Starbucks and Marlboro's to the ol' Food Pyramid. ShareBuilders is an online brokerage that seems geared to the blogosphere (judging only by appearance and features). They recently contracted with Harris Interactive to survey women in the workforce, focusing on financial priorities. Their report indicates that women are, of course, concerned about their financial future, "but are either unwilling or unable to take action to improve their situation." Um, is that any different than we Y-chromosome types? Surprisingly, the answer is "Yes." 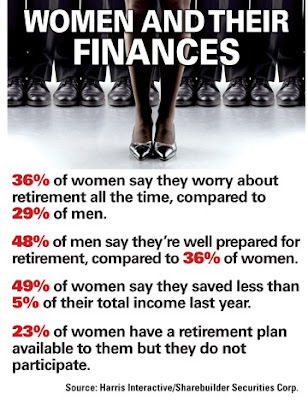 For example, about 36% of women worry about retirement "all the time," while less than 30% of men do. Odder still: about half of men believe that they're well positioned for retirement (reality is apparently NOT our strong suit), while only about a third of women believe they are. Over at Roth & Co, Joe Kristan has a timely and helpful piece on some last-minute tax breaks folks with HSA plans may have missed. He also makes a couple excellent points about HSA's and taxes in general. Recommended. In this month's issue of Employee Benefit Advisor magazine (a trade journal for us health insurance geeks), business journalist Maggie Mahar posits that, when it comes to the current state of health care, there's plenty of blame to go around. She's written a book on the subject, which link I'll post when available. The Insurance Help Hub hosts the newest edition, chock full (almost 2 dozen posts!) of interesting items about risk in all its sundry forms. In a breakthrough trial, 15 young patients with newly diagnosed type 1 diabetes were given drugs to suppress their immune systems followed by transfusions of stem cells drawn from their own blood. Stem cell research. A hot topic in this country, but in this case it is different. The stem cells are not from fetuses or cord blood, but rather from the patient. All but two of the volunteers in the trial, details of which are published today in the Journal of the American Medical Association (JAMA), do not need daily insulin injections up to three years after stopping their treatment regimes. This is a major breakthrough. One that will be watched here and elsewhere. Private health-insurance policies for individuals and small companies in Washington now will be required to offer coverage for mental-health treatment equal to their medical benefits. "Washington now has the strongest and the best mental-health parity requirements in our nation," Gov. Chris Gregoire said as she signed the bill into law Friday. And what does this mean for the premiums? At least a 5% increase, possibly more. Still, about two-thirds of Washington residents aren't covered by the new rules because they receive their health insurance through the federal government or employers who self-insure. Those covered by GOVERNMENT programs (funded by taxpayers) are exempt! Covered by Medicaid or Medicare? No benefit for you! Of course the article also states the obvious. If you do not have health insurance you don't get to take advantage of this sweeping reform. As longtime IB readers know, we don't always focus exclusively on insurance issues here. Sometimes, we look at the bigger picture and, if appropriate, seek out insurance-related themes. And so it is with this sad story, which begins with a year and a half old baby boy, hospital-bound in Austin, Texas. Emilio Gonzales was born with a rare malady called Leigh's Disease, which is "a rare inherited neurometabolic disorder characterized by degeneration of the central nervous system." The normal treatment protocol calls for massive doses of thiamine or Vitamin B1. Even then, the prognosis is far from hopeful: most die by age 6 or 7. Young Emilio may not even make it that far: the hospital at which he's being treated has gone to court, seeking to have his life-support withdrawn. Under state law, they are entitled to do this, if they cross all the t's and dot all the i's. What's particularly sad is that his mother, Catarina, knows that he's dying, and still wants to hold onto him as long as possible. Even more tragic, she's apparently unable to have more children (the article I linked doesn't say why, and it's really none of my business). Her family supports her in this endeavor, and it has pitted their desire to nurture against the hospital's desire to end what it considers a painful and ultimately unviable existence. Interestingly, it seems that there's not a specific financial issue at stake: unlike Nicole's baby, there are no assets in dispute, and Medicaid is paying the hospital tab (or rather, we taxpayers are). Bob and I exchanged some email on this, and he said "(e)asy for me to say pull the plug. That isnt my son." Exactly. It's one thing to understand empirically that the boy's chances are, at best, hopeless; it's quite another to act on that belief. I've said before that my better half believes that "there are no coincidences." So it shouldn't be surprising that today I also found this article, which says: "A majority of American doctors believe God or another supernatural being intervenes in patients' health, a study has found." UPDATE: From the Bob is awesome department: The Medical Directive and 5 Wishes. In our never ending quest to ensure that we stay on the cutting edge of food health, we've had semi-regular updates to our famous food pyramid. Today, we learn that "(w)hen it comes to lowering blood pressure, a piece of dark chocolate beats green tea, hands down." That's correct: chocolate, and especially dark chocolate [ed: my favorite!] contains healthful flavenoids that can help reduce blood pressure, apparently even more effectively than the much-touted green tea beverages. "That seems to be the case of a Marietta, Ga., father who not only was willing to forgive his then 19-year-old daughter for leading police on a high-speed chase while she was high on drugs, but also figured she wasn't responsible when cops were forced to smash in the car's windows to make an arrest." Yup, little Jennifer took Daddy's beautiful new Lexus SUV, got herself stoned, and then took off on a high speed chase, which ended in some policemen having to break the vehicle's windows in order to arrest the miscreant. Not to mention the other damage done when the forces of law and order had to literally ram Daddy's car to keep little Jennifer from perhaps killing anyone that got in her way. And Daddy expects his insurance company to pay for the damage. Because I'm not a P&C expert (nor do I play one on the telly), I asked my colleague for his expert opinion. When he'd finished laughing, he shrugged and said "with the courts, who knows?" Still, he explained that, although Daddy apparently gave little Jennifer permission to use his car, this wouldn't have extended to felony counts. In other words, assuming Progressive (the carrier) chooses to fight this, it seems that Daddy will have to eat the damages. So why would anyone choose a brand name? "I don't worry about the costs because my insurance pays for mine," Futrell said. "All I have to pay is my insurance. There is a disconnect here. After March 31, the health insurance cost to employees could increase from the current rate of $144 each month to more than $800 a month, according to Edmond Hughes Jr., senior vice president of human resources and administration. A main argument from workers has been that the total of 29 cents per hour in health care premiums over the next three years would diminish their take home pay contained within the total of $2.50 per hour in wage increases. Striking over $0.29/hour increase in the cost of health insurance. That's about $48 per month. So . . . if their premiums jump from $144 to $800 while on strike, how many months do they have to work to make up for the additional $656 per month their health insurance will cost them while on strike? This doesn't even factor in the lost wages while on strike. Someone explain the logic to me. Marshall Lebovits hosts this week's Carnival of the Capitalists. Posts are arranged in helpful categories, and include copious context. Marshall received over 30 entries, but included just under 2 dozen of them (happily, our post on an unhelpful referral made the cut). Ethical behavior has been a regular theme here at IB. Over at The Digerati Life, Silicon Valley Blogger has the story of some "modest engineers" who struck it rich, but perhaps in a questionable way. Boasting over 4 dozen posts, the folks at Accumulating Money have produced a terrific Carnival of Personal Finance. It's a sortable table, with lots of helpful context. With tax season upon us, Mad Kane has the antidote with this clever ditty. You have seen it here before . . .
Health plans offered by professional associations were once havens for millions of people who couldn't get coverage anywhere else. But as medical costs have soared, groups representing professions as varied as law and golf have been forced to stop offering the benefit or been dropped by insurers. Here is a sobering stat. Insurance carriers began pulling out of association markets about 10 years ago amid mandates requiring the groups — like employers — to offer coverage to all members who wanted to buy it, regardless of preexisting conditions. Government intervention in a free market trade. In today's marketplace, that's almost always a better deal for older members and often the only option for people with preexisting conditions. But insurers are eager to sell individual policies to the young and healthy for as little as $100 a month, scooping the cream off the risk pool. That leaves higher-risk older and less-healthy people to the group market, resulting in what is known as adverse selection. Wow. Who would have guessed that? Regular readers of this site, of course. As healthy members leave an association health plan, the concentration of members with higher-than-average medical costs increases. That forces the underwriter to raise premiums. A "death spiral" sets in, when medical costs exceed the plan's ability to raise premiums to cover them. Death spiral. Seen it before many times. Don't you just love government interference? Republican lawmakers expressed reservations yesterday about imposing a new business payroll tax to help expand state-subsidized health insurance in the first public hearing on Gov. Ed Rendell's plan to make health care cheaper and more efficient. State subsidized. Don't you just love that phrase? Makes it seem like it really doesn't cost anything. The STATE will pay for it. Except where does the state get their money? Cheaper & more efficient. Government efficiency is an oxymoron. The administration is calling for a payroll tax on an estimated 100,000-plus employers that do not currently insure their employees. The tax rate would be 3 percent for each of the first three years and would then increase to 3.5 percent in the fourth year. Tax penalties for employers that do not provide benefits. What could be wrong with that? Republicans have complained that Rendell's proposal would encourage some employers to drop private insurance coverage if it is cheaper to pay the payroll tax for state-subsidized insurance. If my current plan is 5% of payroll, and this is 3%, guess which one I will opt for? Rosemarie B. Greco, the director of the Governor's Office of Health Care Reform, said that was unlikely to happen because employees would have to go without health insurance for six months before they could enroll. That means 6 months of no insurance premiums followed by a lower cost plan. Some employers might just take them up on that. In addition, businesses with fewer than 50 workers would be exempt from paying in the first year, she said. Employers with fewer than 50 employees are usually the ones who do not provide health insurance. Just another dumb idea from the folks you elected. Easter is a time for those of the Christian faith to reflect on the very basis of their religion. The English word "Easter" is not directly derived from Pesach (the Hebrew word for Passover) but without Passover and the events that transpired during that time some 2000 years ago, Christians would never have an Easter to celebrate. It is easy to find stories of Christmas miracles, secular stories about Easter (but with a religious twist) are a bit more challenging to discover. However, I did manage to find one that can be appreciated by people of all faiths. In the insurance world, carriers and providers reach similar agreements, which have come to be known as "Most Favored Nation" (MFN) contracts. It's probably true that some carriers' assets approach those of some smaller countries, but this particular appellation has to do with pricing for services rendered. "Global professional services firm" Towers Perrin recently released the results [ed: enough with the alliteration, already!] of a national survey of HR critters. 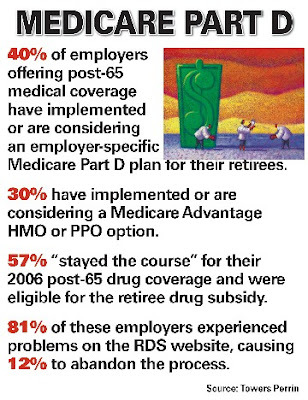 The focus of the study was the impact Medicare Part D (allegedly for "Drugs," but more appropriately for "debacle") on retiree medical benefits, and how companies plan to address these issues in the coming year. The introduction of Medicare D (for short) opened up some new options for companies with large numbers of covered retirees (e.g. GM, etc), and this could be seen as either a positive or a negative. From the retirees' perspective, such options are more likely to engender fear of the unknown: what changes will be made, and at what cost to the beneficaries? A bit more than half of those surveyed indicated that they would "stay the course" (for now, at least), and make no drastic changes this year. More than three quarters, though, indicated problems with the RDS (retiree drug subsidy). The RDS is a gummint-sponsored (paid) program that reimburses eligible employers. For more information on the program, click here. I'm not a big fan of either program; since employers don't pay taxes, it seems illogical for them to collect such subsidies. Of course, nobody asked me. 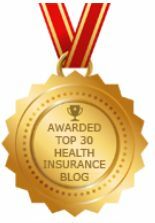 This week's offering of health care wonkiness comes to us courtesy of Jane Hiebert-White at Health Affairs blog. She presents 18 interesting entries, along with insightful comments, and even some choice quotes. IB readers know that we are advocates of Consumer Driven Health Care. Never let it be said, however, that we don't present both sides of the issue. Our friend (and frequent foil) Joe Paduda reports on his own (less than ideal) experience with that model. Worthwhile. According to the Human Rights Campaign Foundation, over half of the Fortune 500 offers domestic partner benefits. It's mildly interesting that the HRC is noted as a "gay rights advocacy group," because DP's could be either homo- or heterosexual. One could argue that it really makes no difference, and, of course, who am I to argue? Which brings us to the subject of insurance. On the life insurance side of "the biz," the issue of DP's being the beneficiary of an insurance policy is the subject of much debate. The underlying principle is called "insurable interest;" that is, would the beneficiary suffer economic loss at the death of the insured? Obviously, married spouses have an insurable interest in each other; likewise divorced couples have similar issues (child support, alimony, etc). But what about folks who are simply living together? I know a couple who have been "shacked up" for almost 30 years (longer than many married folks stay together) in a loving and monogamous relationship. For a number of reasons, they are not "common law" husband and wife, nor do they wish to be. Yet, who's to say that they have no insurable interest in each other? Early on in my career, when I was faced with this issue, I always suggested we put down "fiance" in the "relationship to applicant" box. That seemed to satisfy the underwriters. Today, it's not really considered a big deal (although, on a personal note, I would be very disappointed if either of my daughters chose that route). But what about on the health side? There's no "relationship" box on the application or enrollment form: it's spouse or nothing. Large companies, such as those in the Fortune 500, are typically self-insured, and can write (to a great extent) their own rules, and decide who can, and can't, be included on a plan. In the individual and small group markets, carriers are free to handle this pretty much however they want (subject, of course, to the various Departments of Insurance). My experience is that most carriers won't include DP's (of whatever sexual orientation) on "family plans." In the individual market, this is really no big deal, since the rates are determined individually for each applicant, and there are few advantages to a "family plan." One potential advantage, though, is in the category of HDHP's (High Deductible Health plans), which usually have common, family deductibles. The way the HSA's (Health Savings Accounts) are currently enabled, one's "significant other" isn't eligible for tax-advantaged reimbursement from the HSA unless he/she is listed as a dependent on the plan. Since this is often not possible, employees in such circumstances are (perhaps understandably) reluctant to opt for these consumer driven health plans. Such folks will have to wait until the gummint decides their plight is legitimate, and/or wishes to potentially increase the number of folks who choose an HSA. Keagirl, blogging at Urostream, hosts an outstanding 'Rounds, with 40 posts in 7+ categories. It's easy to follow, since each entry has helpful context. One of my favorite medbloggers, California Medicine Man (who doesn't post often enough), has the inside scoop on why some nurse anesthetists make more money than primary care physicians. Enlightening. Just received word that the Anthem/Alliance brouhaha has been resolved. This means that Anthem insureds will be eligible for in-network benefits from Alliance Providers. Apparently, the new deal runs through 2010. We have reported before about issues with carrier abuse in CA. Now it seems that trouble is brewing in other states, with other carriers as well. Three subsidiaries of a Milwaukee-based insurance holding company have agreed to restitution and a corrective action plan after the state determined that medical claims were wrongfully denied, state Insurance Commissioner Susan Cogswell announced Thursday. Cogswell said the agency reviewed more than 500 claims, focusing on claim denials for pre-existing conditions, and found that Assurant failed to comply with Connecticut's prompt pay laws, denied claims on the basis of pre-existing conditions only to have those determinations overturned on appeal, and delayed investigations into denials for pre-existing conditions. Suspected pre-ex claims are always a thorny issue for carriers. Sometimes the issue is clear cut once doctor notes are secured. Example. Coverage effective 4/1/07. No medical issues listed on the application. Insured visits doc on 4/5 and complains about back pain. Doc - How long have you had this problem? Patient - About 2 months. Doc - What have you done about the pain? Patient - I bought a health insurance policy. Coverage effective 4/1/07. No medical issues on the application. Insured visits doc on 4/5 for routine check up. Exam includes palpation of the abdomen. Doc notices some rigidity and tenderness. Doc - Rigidity & tenderness in your abdomen. Patient - I haven't noticed any problem. Situation one is easy to review & suspect fraud on the application. Situation two is a bit more challenging for the carrier. Interesting article on self insurance. Like most Alabama hospitals, Pickens County Medical Center is self-insured. Self-insured means that the employer, not an insurance company, covers the bill for care. 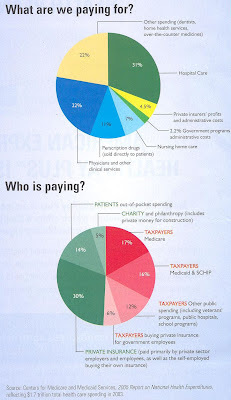 So when a patient visits the doctor, he or she pays the co-payment and the employer (in this case, the hospital) pays the remainder. Technically the plan administrator (TPA) pays the claim using a combination of employer & employee money in a loss fund. For the most part, the process runs smoothly, McElroy said. It’s the catastrophic illnesses, like cancer, that throw off the system. 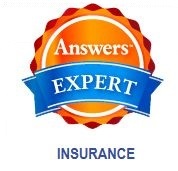 Cat claims can be covered by reinsurance. If the claim level the employer wishes to cover is $100,000 then the reinsurance will pick up claims xs of that level, protecting the loss fund against a large claim. The hospital was still paying the bills from those illnesses during the first quarter of the fiscal year. And another recent catastrophic case has also hit the hospital. Sounds like the loss fund is underfunded, there is inadequate reinsurance, or both. Both of these could have been rectified with adequate funding, sufficient reinsurance, or both. For the first quarter that ended Dec. 31, 2006, the hospital lost $48,800. While revenues were higher than expected for that same period, medical bills were higher than budgeted. If fact, medical expenses came in at $321,000, double what was budgeted for the first quarter. Employees have two options when it comes to receiving health benefits from Pickens County Medical Center: an individual plan or a family plan. Most have the family plan, which costs about $140 a month. $140/month for family coverage is a bargain. While the catastrophic events can’t be predicted or controlled, McElroy said other uses of health insurance can be controlled. Educating the employees about how to use the benefit in a cost-effective way took center stage. “I told them only the employees can impact that number. I don’t have much ability to manage that number," he said. “So you tell them things like, don’t bring children to the emergency department just for convenience sake, if you can get to primary care physician that costs less. Denying claims for non-emergency care in a trauma center goes a long ways towards educating the participants and making your point. It seems like either the author of this article, or the benefit manager, or both, have missed some important points in self funding. I wonder what the missing pieces will reveal? Warm Passover greetings to our Jewish IB readers. Have a great week+1, and don't forget to eat lots of fruit. No Credit Needed hosts this week's Carnival of Personal Finance. There are some over 60 posts, all categorized, but they're all just listed, with no context or subject clues. Never fear, though, because Joe Kristan at Roth & Co always has timely tax tips [ed: nice alliteration! ], and this week's contribution is no exception (especially if you have kids). With almost 3 dozen posts, in useful categories and with helpful context, Business Pundit hosts this week's Carnival of the Capitalists. There's even a podcast (I think that's a first for this Carnival). Having just experienced something along these lines, I really appreciated ohcash's thoughtful item on firing a client. Recently, Bill posted on the travails of the California Blues and their "little problem" of denying claims and rescinding policies. "Three subsidiaries of a Milwaukee-based insurance holding company have agreed to restitution and a corrective action plan after the state determined that medical claims were wrongfully denied, (Connecticut) state Insurance Commissioner Susan Cogswell announced Thursday." Turns out, after the DOI investigated some 500 claims, it determined that Time, et al neglected their duties under the Constitution State's prompt pay laws, and had an inordinate number of pre-ex denials turned away on appeal. Adding insult to (non-covered) injury, the carrier dragged its feet on investigating a lot of those claim denials. A spokescritter for the company ducked commenting on the issue itself, but assured [ed: ha, ha] us that " "We're always working hard to make sure our claims process is consistent with state law." The Connecticut DOI is still crunching the final numbers for that restitution. This week, we learn about a new national survey, the results of which may bode ill for segments of the health care industry.